It's an advanced activity. It's used to help the students write better. 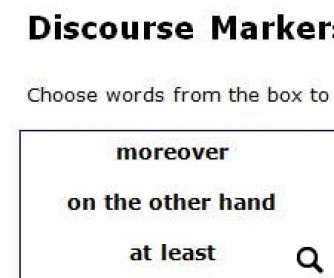 The teacher reads the sentences and asks the students to find the best discourse marker to fill in. 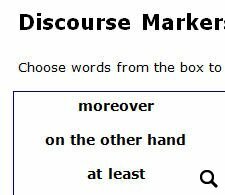 More than one discourse marker can be used. It can be done in pairs. It's helpful!